Here is a simple resume tip that will work for you no matter what field you are in or how long you have been working: the length of your resume is less important than its substance. Remember when you were a child and you were told that what mattered most wasn't what you wore on the outside, but what kind of person you were on the inside? Well, to some extent, that is exactly the same with your resume. What you write on your resume is more important than what it looks like (how long it is). How long should your resume be? The short answer is: as long as it needs to be. The long answer is: the length of your resume should be in direct proportion to your success in reaching your career goals and in pursuing related educational objectives. 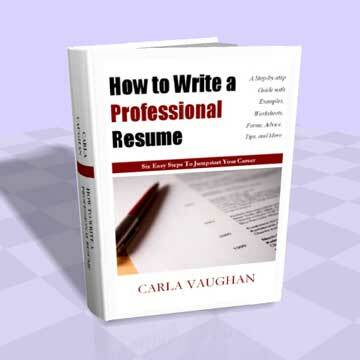 Write your resume in such a way that the reader knows what you want and how your credentials support that goal. Anything more becomes tedious and takes away from the impact of your true purpose. Anything less and your goal become unsubstantiated by your past experience and education. Most experts suggest you keep your resume to two pages. If you can fit your skills and accomplishments on one page, that is even better. If you are a professional or executive, three pages may be required to tell the whole story, but be sure you are using only what best supports your career goals. Here"s another simple resume tip: the resume cover page (in addition to the resume) is NOT counted in the suggested resume length above. The goal of the resume is to get the interest of the prospective employer so that you are sought out for a job interview. Write what matters.